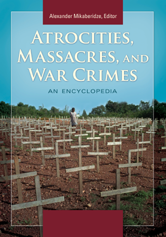 Both concise and wide-ranging, this encyclopedia covers massacres, atrocities, war crimes, and genocides, including acts of inhumanity on all continents; and serves as a reminder that lest we forget, history will repeat itself. Leipzig War Crimes Trials (1921–1927). Philippine–American Wars, Atrocities in (1898–1913).